Last week I felt a bit sad that Autumn’s here but now I don’t feel so sad because the leaves of the trees on the Isle of Oug are all gold and copper and brown. But Sapphire, The Viking and me are getting a bit worried about all the animals getting a bit cold in the Winter. all the animals that eat J’ree’s favourite plants and vegetables. 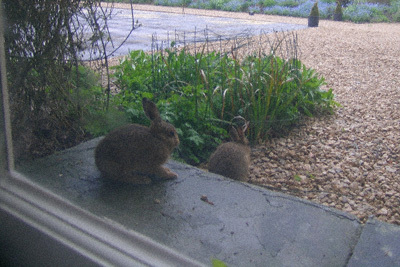 Harry the hare and his brothers will each make a nest in the undergrowth to shelter from the cold. 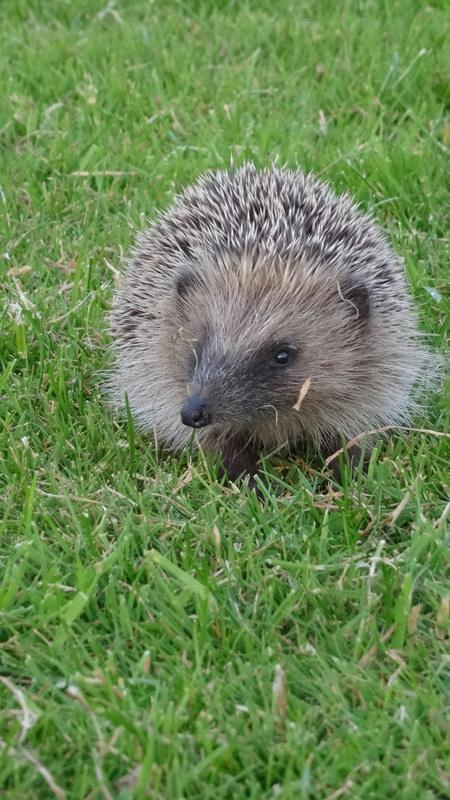 Remember Harry’s tiny little brother all cosy in his nest of long grass? 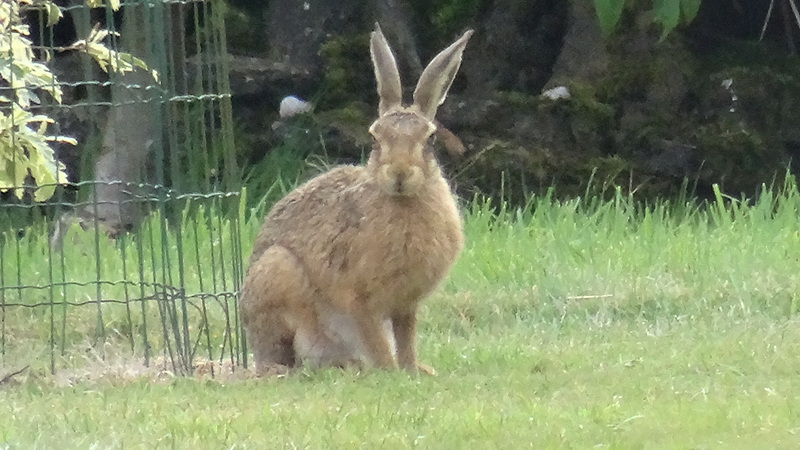 J’ree told me that a hare’s nest is called a ‘form’. Hares like to eat all kinds of vegetation BUT they will probably eat some of Trisseen’s pretty plants in the flower borders. The Viking thinks that’s a bit naughty. Sapphire is especially worried about the dragonflies. ‘They’re so delicate’ she said. 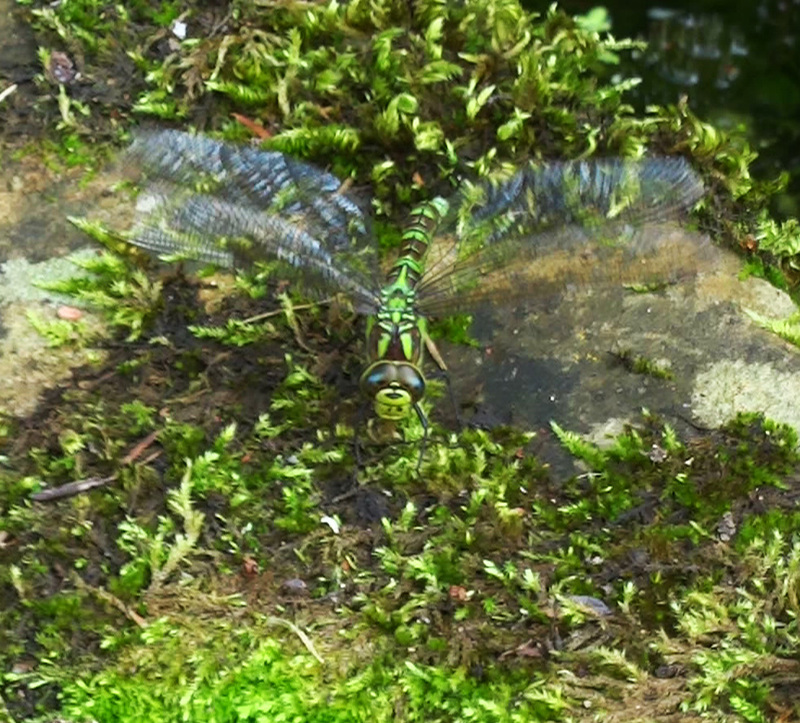 Trisseen told us that the female dragonfly lays her eggs in or near the water of the pond. Some of the eggs stay there all winter and only hatch when it’s Spring. The hatched eggs are called larvae and, as they grow,they shed their skin up to 15 times. A bit like us having to get a new coat. When the water warms up in the Spring sunshine and a larva has fully grown it climbs out of the pond onto a nearby plant where you can hardly see it because it looks like the leaf. After a while the leaf-looking thing splits open and out comes a fully grown dragonfly! It takes a few hours for the beautiful wings to fill out, then our dragonfly whizzes around with his shiny body and delicate zizzy wings. It’s magic. There’s still leaves on the mulberry tree and there’s still furniture in the castle and next week The Viking has PROMISED to tell us about the Elves. He says he’s told Granny already but she’s on holiday and so Sapphire and me couldn’t ask her about it. The Viking thinks it’s very funny and says it’s a secret til next Sunday. Little brothers are very annoying. This entry was posted in children, children's games, children's stories, country lore, countryside lore, fairy tales, fantasy, innocence, magic, nature, outdoor+games, The Joy of Childhood, wildlife, wizard, woods, written by Charlie Age 6 and 1/2 and tagged adventures, childhood, children's+stories, country lore, fairies, fantasy, magic, outdoor+games, wildlife, Wizard. Bookmark the permalink.